Campingpark Gitzenweiler Hof is a luxury camping site offering quality accommodation in mobile homes, located in a tranquil setting just 5k from Lake Constance in Bavaria. To check availability and book your holiday, please contact the team at LUX-camp. Why is Campingpark Gitzenweiler Hof perfect for a luxury camping holiday? To make your luxury camping holiday even more enjoyable, there is a small supermarket on site that opens seven days a week and sells all the necessities including fresh bread, fruit and vegetables, frozen goods and toiletries. At the on-site restaurant, you can enjoy salads, grills and pasta as well as local delicacies. The campsite also provides a pizzeria where you can eat in or take away. 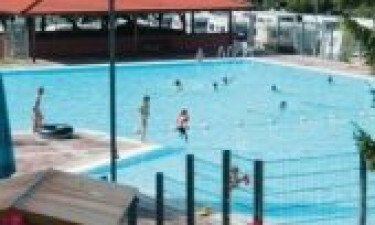 The award-winning Campingpark Gitzenweiler Hof is ideal for camping with a family. There are two pools and plenty of sports on-site, including horse riding, fishing, cycle hire, football, volleyball, tennis, boules and table tennis. 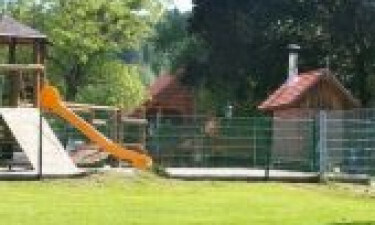 Children will love helping feed the animals at the farm and there are 3 play areas. Lake Constance offers windsurfing, boat trips, scuba diving and canoeing. Take a ride in the cable car at the Pfänder mountain for stunning views. A trip to Ravensburger Spieleland, a top-rated leisure park is a must and at Lindau there is an excellent choice of harbourside restaurants where you can sample the hearty Bavarian fare.